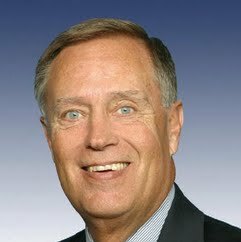 Michael Garver "Mike" Oxley is an American politician of the Republican party who served as a U.S. representative from the 4th congressional district of Ohio. Oxley was born in Findlay, Ohio and received a bachelor of arts degree from Miami University in 1966 and a law degree from Ohio State University in 1969. He is a member of the Alpha chapter of the Sigma Chi fraternity at Miami. From 1969 to 1972, Oxley worked for the Federal Bureau of Investigation and became active in the Ohio Republican Party. He served in the Ohio House of Representatives from 1973 to 1981. Oxley was elected a U.S. representative in 1981 in a special election to fill the vacancy caused by the death of U.S. Representative Tennyson Guyer. Oxley began serving at this post in 1981. He served as the chairman of the Committee on Financial Services, and was House sponsor of the Sarbanes-Oxley Act of 2002, which enacted "sweeping post-Enron regulations of publicly traded companies." He was also the house sponsor of a 2006 bill that condemned media outlets that had published information on a covert financial surveillance system.